Knitting blogs rock. So much so that I spend a significant amount of time reading good ones and looking for more. It’s funny how you actually feel like you get to know someone through their blog; like you’re making a new friend and that’s always great in my book. So, as promised, today I’m posting a list of blogs that I personally enjoy. Most of these I found on ravelry.com because they have a special forum for bloggers. Of course, you can always Google knitting blogs as well but I haven’t had the time to weed through what I’m sure would be a gazillion results. I’m still working at getting my blog listed at BlogNation but I’ve hit a couple of snags and I’m not sure they know what to do with me since it appears I’m the only one in the universe that’s ever had this problem. O_o Yep, that’s my life. Meanwhile, I didn’t post a picture of the sock yarn I was so excited about, so here it is. 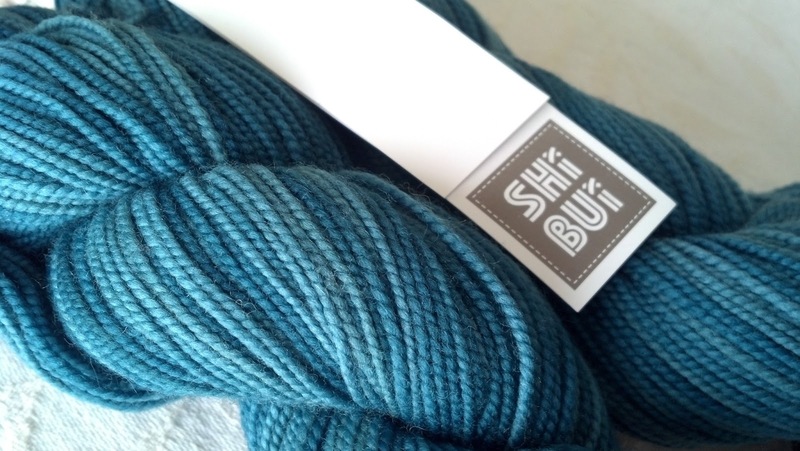 It's Shibui Sock which is 100% superwash Merino and the color is Dragonfly, #1601. I still haven’t started, but the good news is the never-ending Christmas blanket is finished and I’m about half-way through the back of Christmas sweater #7. I’ll post a pic of that WIP tomorrow. What are your favorite knitting blogs? THANK YOU!!! I really appreciate it! I can't even seem to get the knittingblogs.org site to load at all. :-( I'm not giving up! I love your sock yarn! And Shibui is so lovely to knit with! Can't wait to see what you do with that yarn. I don't think my mom reads my blog much... :-/ I really do enjoy your blog! Just found it recently on Ravelry. Thanks for the link! I'm so glad you like my blog. And my goodness, that blue sock yarn is so pretty. Isn't it? I can't wait to get started! Love seeing pictures of your projects on your blog! Tango, Schmango...Where Is My Knitting?